In order to achieve OHSAS 18001:2007 Certification, organizations can take help from an OHSAS 18001:2007 Consultant who has rich experience in the field of implementation of this standard. 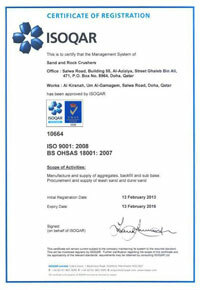 Final OHSAS 18001 certification audit by certifying body. Strengthened position on share market. Identification of possible areas, which can save costs such as absenteeism due to ill health, etc. Better relation with regulatory and licensing authorizations.